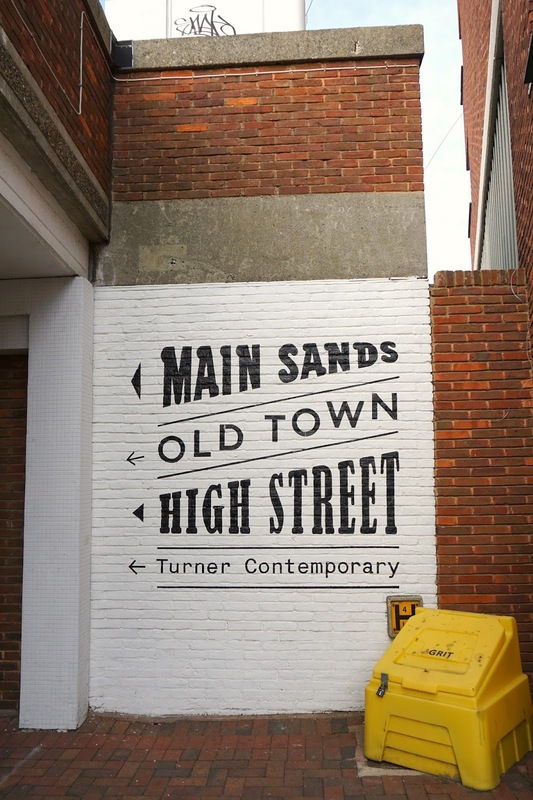 A true rags-to-riches story, Margate has left its run-down seaside destination days firmly in the past. 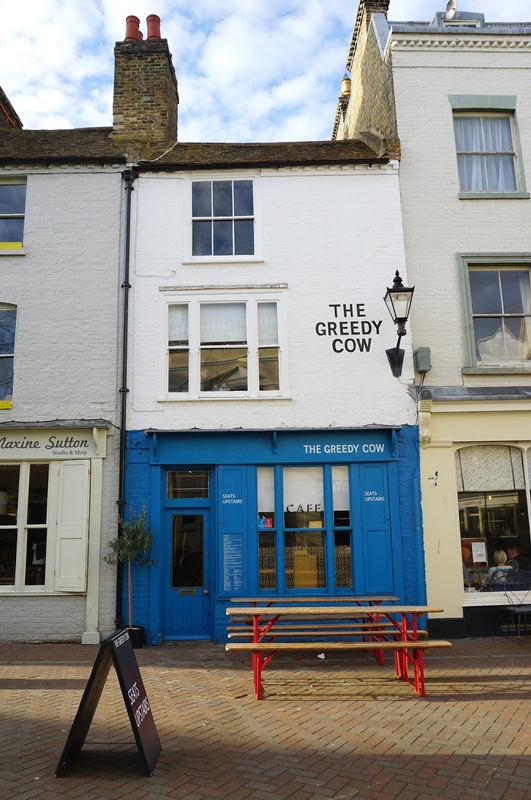 The regeneration of Thanet's seaside gem has been a well-documented one; from travel bloggers to the New York Times, it has quickly become the south coast's must visit destination. Once known for it's lacklustre high street and high unemployment rate, it has now been dubbed Shoreditch-on-Sea for it's hipster arts scene and vintage-esque Old Town. 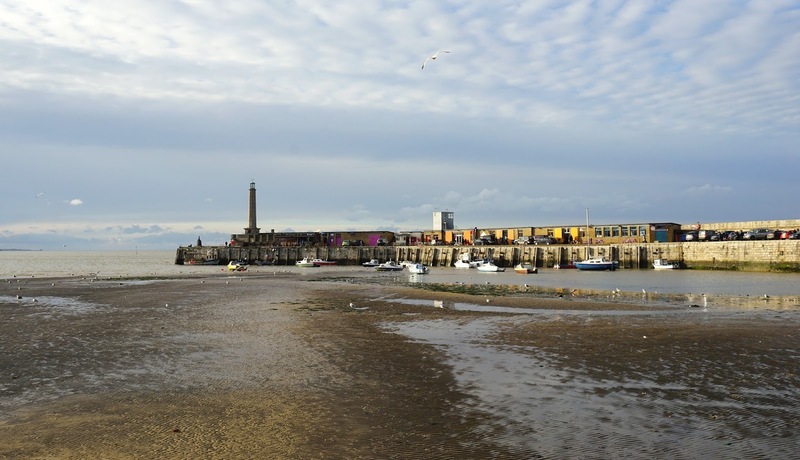 Thanks to a new high-speed rail link from London (88 minutes from St Pancras, FYI), an £18m investment in to Britain's oldest-surviving amusement park Dreamland and the 2011 opening of the Turner Contemporary, Margate is really entering a new era. And a little online research tells me that this regeneration project is really working! 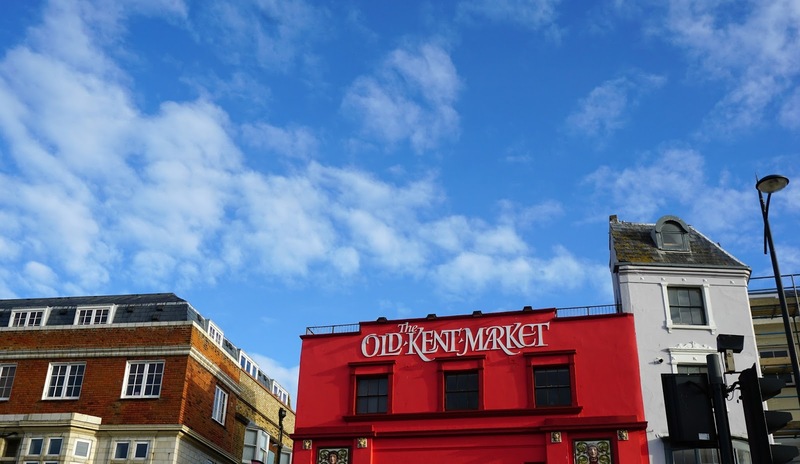 House prices have shot up 12%, over a million visitors have flocked to the Turner gallery and cafes, shops and restaurants are popping up in quick succession. 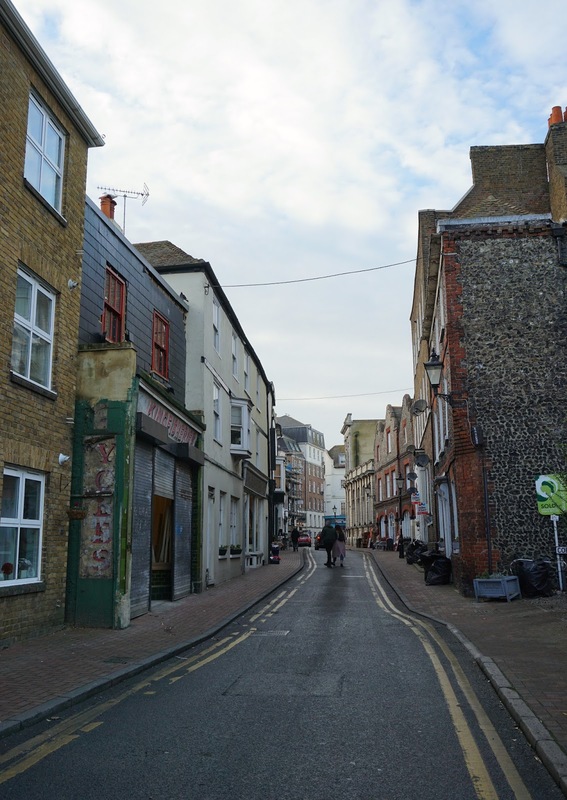 Thankfully, Margate has managed to keep hold of it's old British charm with many dilapidated buildings being thoughtfully restored, keeping that old heritage feel. It really shouts old-meets-new, contemporary beautifully integrated with classic. Now I'm not pretending to be a Margate aficionado - don't fear! My good friend Sophie, however, is an insider of sorts. 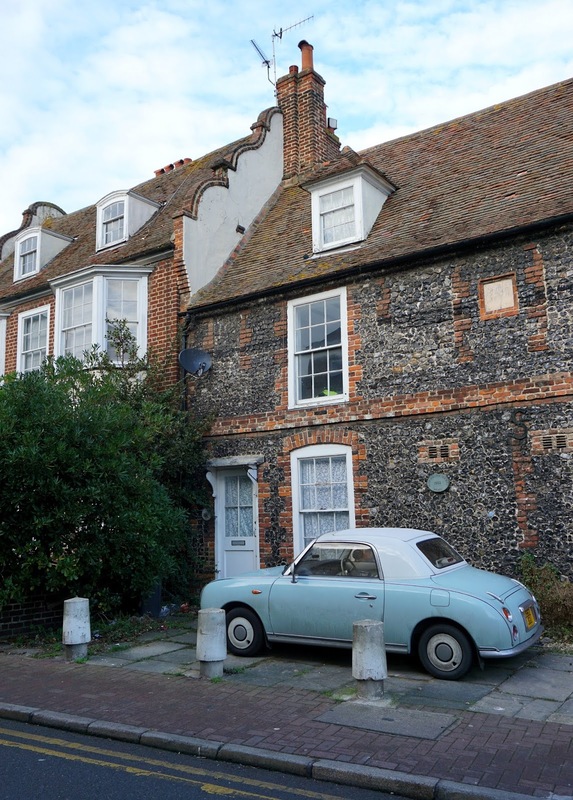 Her family own a house in Westgate, three miles along the coast from Margate. It was in fact her Grandparent's home, which they have lovingly restored as a family in recent years and share as a bolt-hole; somewhere to escape to at the weekends and holidays. They were kind enough to let Rich and I stay for the weekend, which acted as the perfect sanctuary for our tired, end of January selves. I wont deny I let out a little squeal of pleasure on that Friday evening once I'd settled on the sofa with a warm snuggly blanket and large glass of sauvignon. It was heaven. 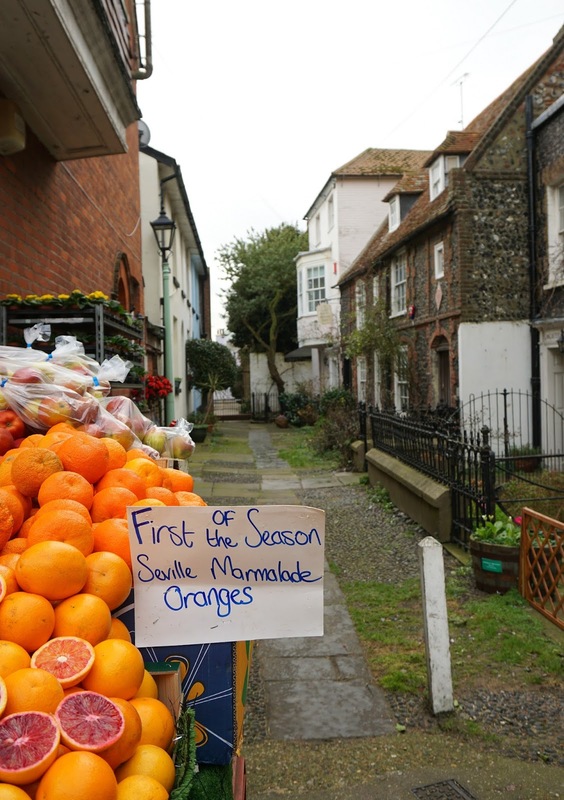 Westgate itself is a small seaside town; less of a tourist attraction than Margate but is peaceful and only a stones-throw from the action. 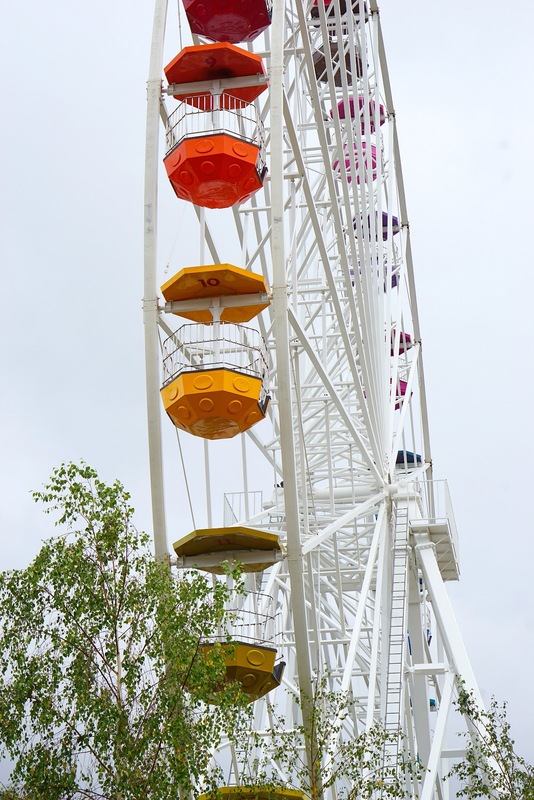 To drive it takes less than ten minutes (to Margate), but is also walkable taking around an hour. We were also a short drive from Broadstairs and Whitsable which we visited briefly. I have since have been back to visit for a few days with with Sophie and her two little boys, and just know I'll be back again soon. Margate is the gift that keeps on giving! I asked Soph where she recommended eating, drinking and visiting - some of which we were able to squeeze in to our two short days, the others we will have to save until next time. I hope this can act as a brief guide for those planning on visiting Margate! I have starred (*) the places I personally visited and therefore can recommend myself. Dreamland* - much of this was shut during our first visit (off-season, January), so I was thrilled to visit again in August and see it fully open. Dodgems, swing boats and ghost trains are among some of the rides, as well as a retro roller skating room, big wheel and a mirror maze. Vintage-themed fun! 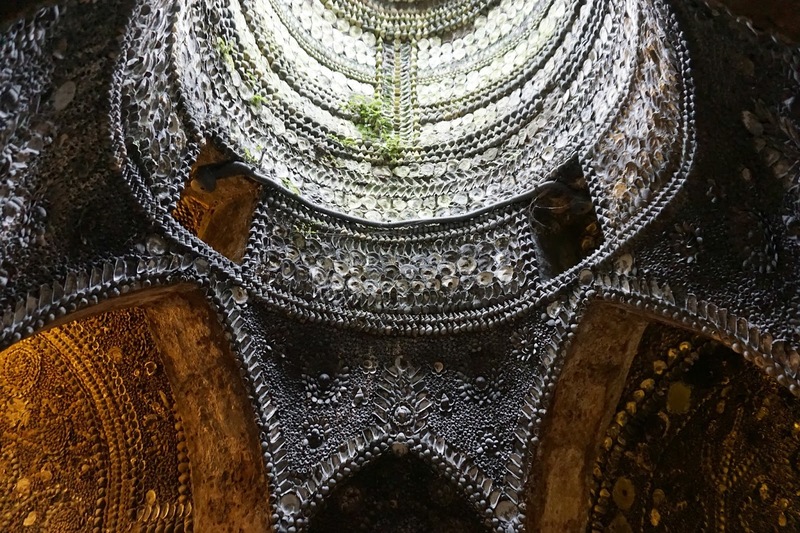 Shell Grotto* - a grade II listed, mysterious 140ft underground bunker open since 1838. There are no documents dating its discovery, nothing explaining who made it or why. Lined with some 4.6 million shells (who counted?) some believe it to be a pagan temple, it is worth a visit for sure. Turner Contemporary* - with a rolling programme of exhibitions, the gallery is free and some say the hub of Margate's arts scene. It's already seen 1.5 million visitors since opening in 2011 - we're not particularly 'arty' types but enjoyed the Entangled exhibition running during our visit. Old Town* - worth a wander! 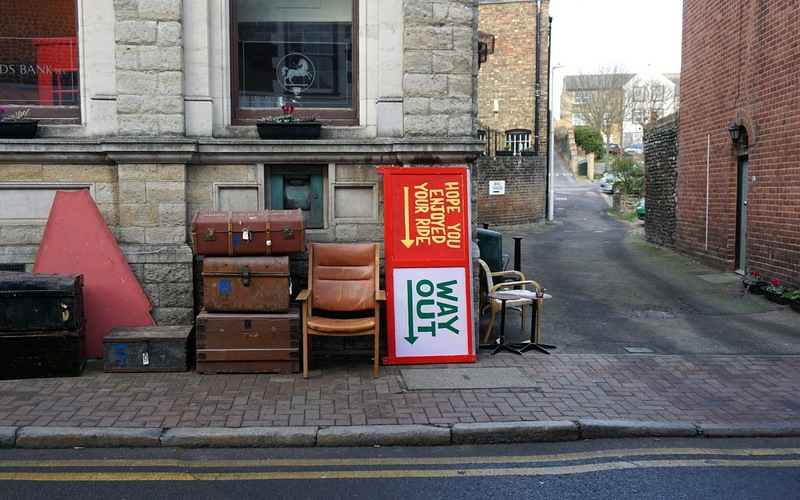 With an ever increasing smattering of vintage shops, tea rooms, antiques dens, restaurants and gift shops it is regenerated Margate at it's best. 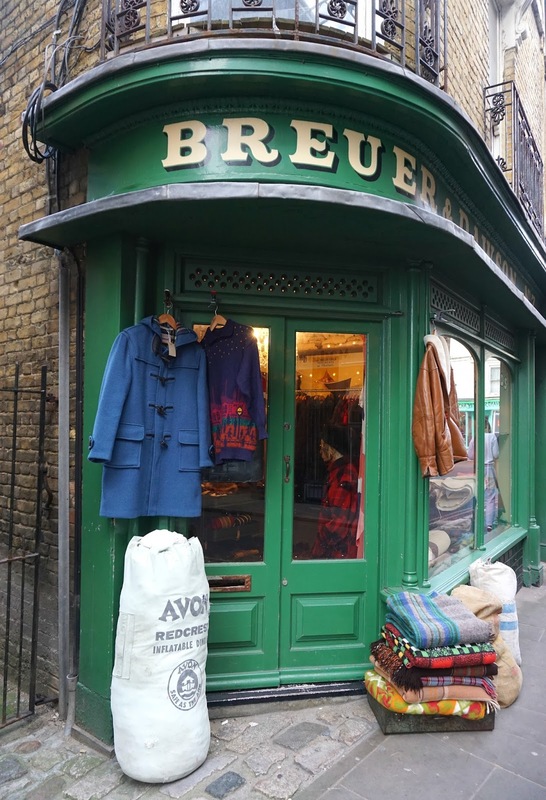 Browse, get a coffee, grab a bargain. I particularly enjoyed The Fox and Spindle (Beyoncé-themed cards, yes please), Paraphernalia and The Shop around King/Broad Street. Many of the shops are shut on Sunday (off season, at least). 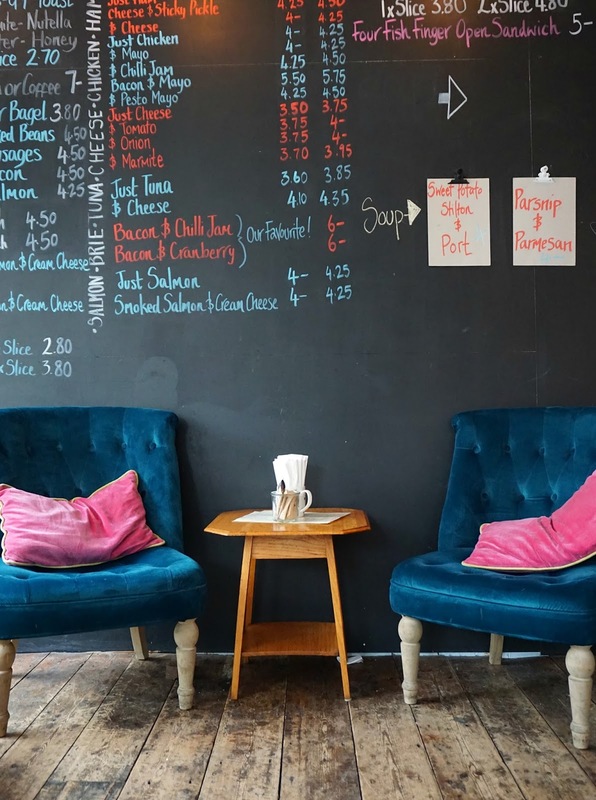 Cupcake Cafe* - good breakfasts, beautiful velvet armchairs and excellent cakes. Bows Kitchen* - delicious Thai food above the Wig and Pen pub. The massaman curry was delicious, and we were impressed to see so many real 'authentic' Thai dishes on the menu including my favourite tom kha gai. Super affordable too! 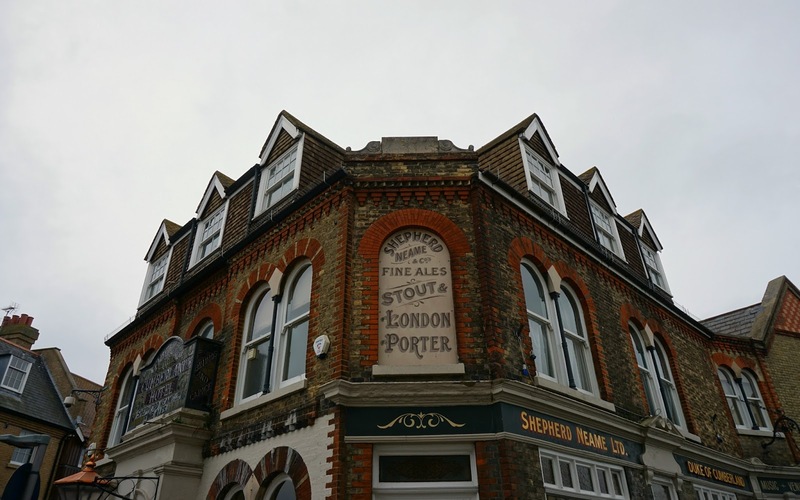 Cinque Ports* - right next to Dreamland, this 1930s original pub has been given a makeover - your Instagram can thank me later. 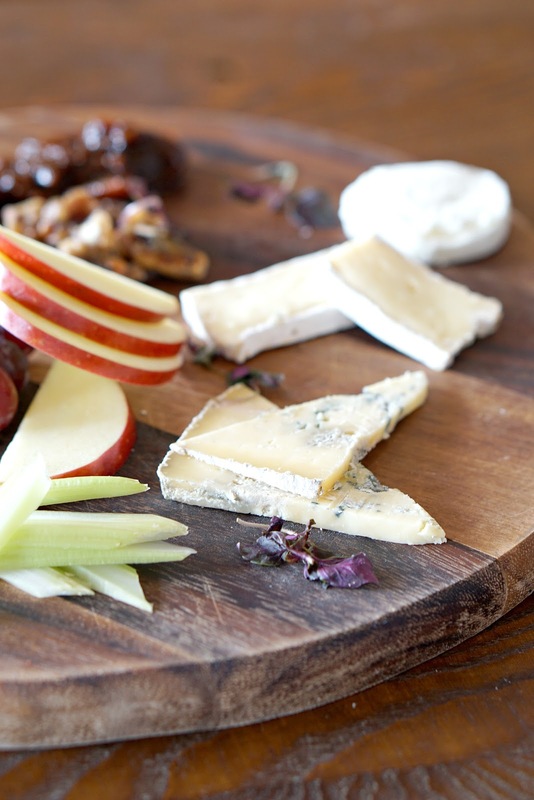 Yummy cheese boards with divine candied walnuts. The Bus Cafe* - a cafe set in a vintage double decker bus... don't bother with the coffee, but the setting is perfect and the wraps look delicious. Mala Kaffe* - a tiny little Scandi cafe on the harbour arm. Dare I say the best coffee in Margs? GB Pizza - gorgeous interiors and "the best pizza I've ever had" according to one food critic! The Ambrette - award winning restaurant combining local and exotic Asian ingredients. Head chef Dev Biswal has clearly got it spot on. Mullins Brasserie - modern European cuisine with a hint of the Caribbean. Cliffs* - a little out of town, Cliftonville is apparently gaining popularity by the day! Cliffs seems to be the heart of the main street with a retro chic cafe, records to buy and even a salon upstairs. The Grain Grocer* - again, in Cliftonville, this organic haven is a go-to for 'thoughtfully sourced' foods and a peaceful tea break. The Glass Jar* - Manhattan style cocktail bar close to the seafront, we went for mid-afternoon beers. A half of Whitstable Bay Blonde for me and a pint of IPA for Rich. Morgan's - just a few doors down from The Glass Jar, Morgan's has live music, a vintage style dance hall and weekly workshops for budding dancers and actors. 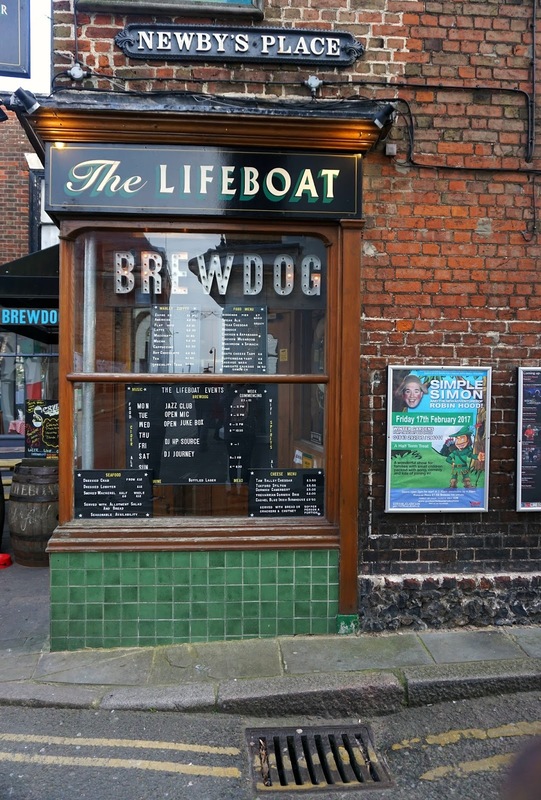 The Lifeboat - recently refurbished; Brewdog beers, open fires and good pub food. The Sands Hotel - described as boasting a 'plushy mermadic decor'... I'm sold! Perfect for a pre-dinner cocktail. 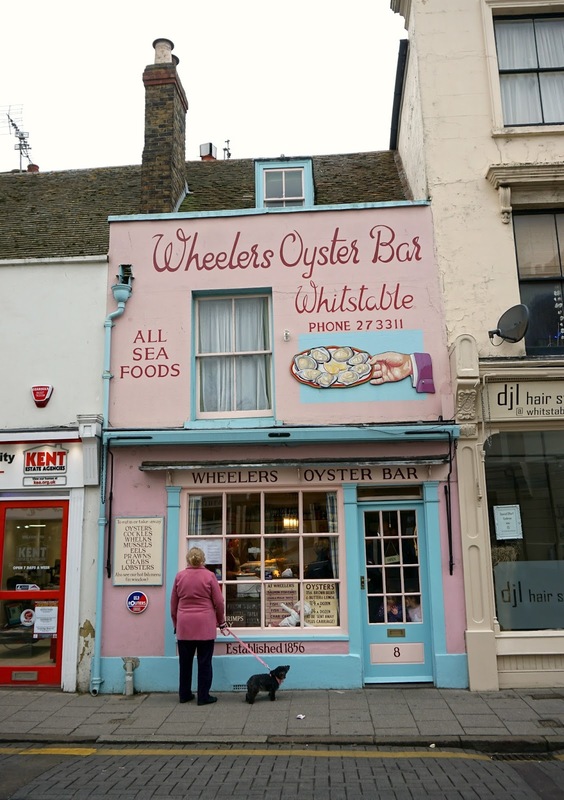 Before heading home on the Sunday we also squeeze in a quick visit to Broadstairs and then Whitstable. These were pretty much flying visits; a walk along the beach and lunch at the former, and a browsing of quirky gift shops at the latter! 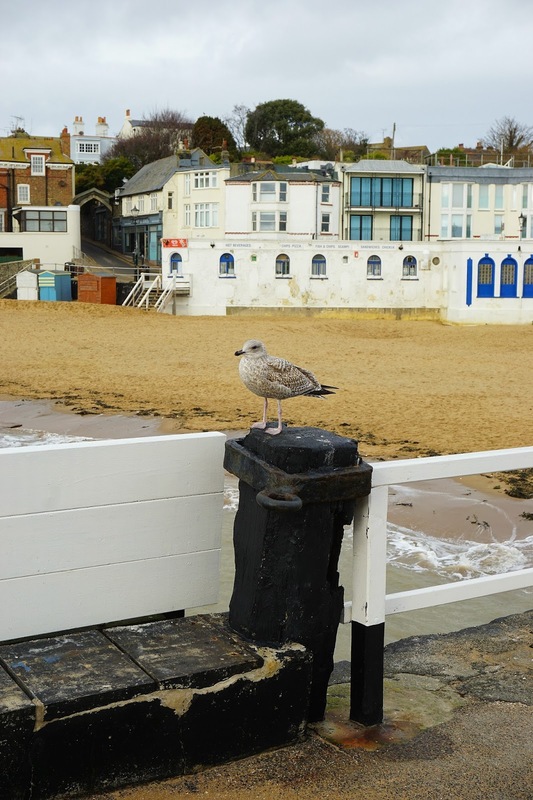 The beach at Broadstairs is pretty, and the town itself is more built up and commercialised than Margate. 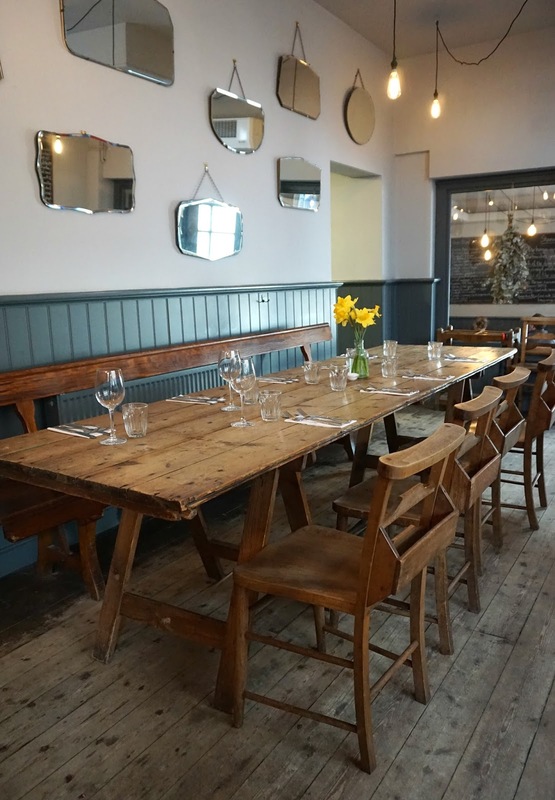 We had heard good things about Wyatt and Jones and popped in to try our luck for a table for Sunday lunch - sadly they were fully booked. The decor is spot on, and the reservation list is testament to it's popularity. We found our next option, Italian restaurant Posillipo*. Small, authentic Neapolitan cuisine - my truffle and aubergine pasta with goats cheese was dreamy. Rich's fresh pasta with Italian salsiccia sausage was also a hit, and bottled Italian Amarcord beer. 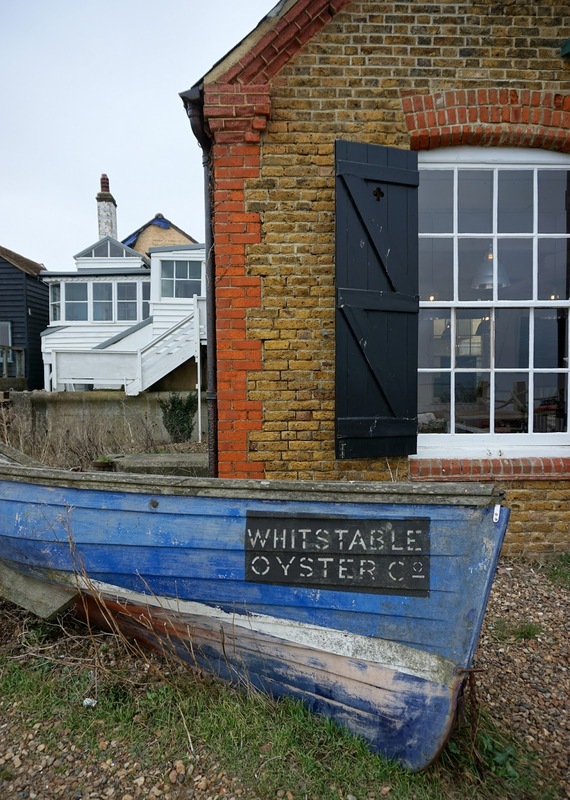 We didn't spend long in Whitstable at all as it started to rain (and we only had enough £ for one hour parking!) but did enjoy a brief wander down Harbour Street and would have stopped in Elliott's Coastal Kitchen for a quick caffeine hit if it wasn't so busy. 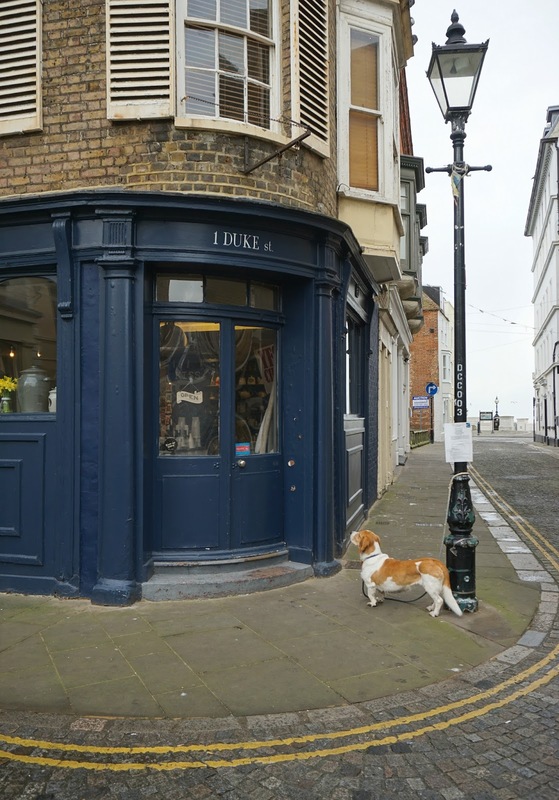 I loved browsing Flory and Black's interesting home wares and gifts - the sort of stuff you definitely don't need but of course want - and prints, art and coffee table books in Frank. We bought a couple of cupcakes for the road from the shop next door, but I must admit they were pretty meh. 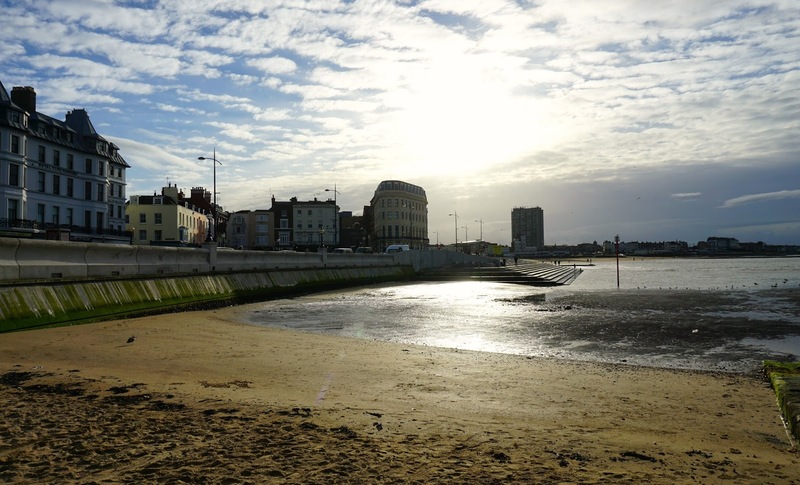 And there you have it - a semi-insiders guide to Margate, courtesy of Soph and various visits to this seaside beaut. My advice to you? Get in there soon, and see Margate at its best! Oh man it looks so good! Take me! And is that not the worst placed grit box ever? Fab photos! 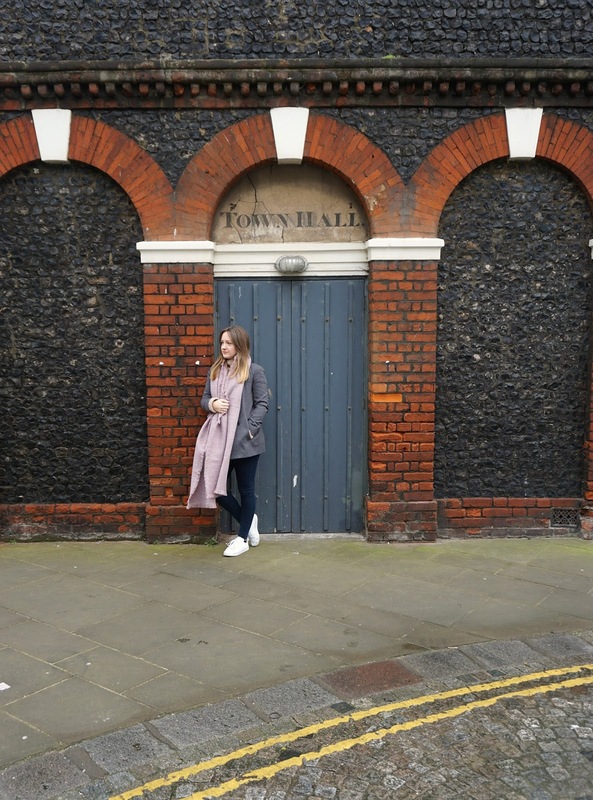 Lovely write up, I'm a Margate girl born and breed (although I now live in sleepy Westgate)My love for Margate has never wavered. Glad you enjoyed your stay.